Last Week: Close. Friday in Muskegon there was a short time period where the thermal did pick up enough to ride. It got to about 15 or 16 knots. Then on Saturday I didn’t think LSP would be windy enough, but it actually was more sunny than predicted and LSP would’ve been rideable. Nothing on Sunday. Today: Not much goin on today for wind, a little up north, but Saturday…..
Saturday: We have a north wind day on our hands. From Manistee to Holland and further south there should be side on shore wind that is enough to kiteboard for periods thoughout the day. Manistee should start out late morning due north and and build to 20 knots over the course of the afternoon. Further south, from Muskegon to Holland, the North wind will go NNW a little later around mid afternoon and get up to 20 knots as well. 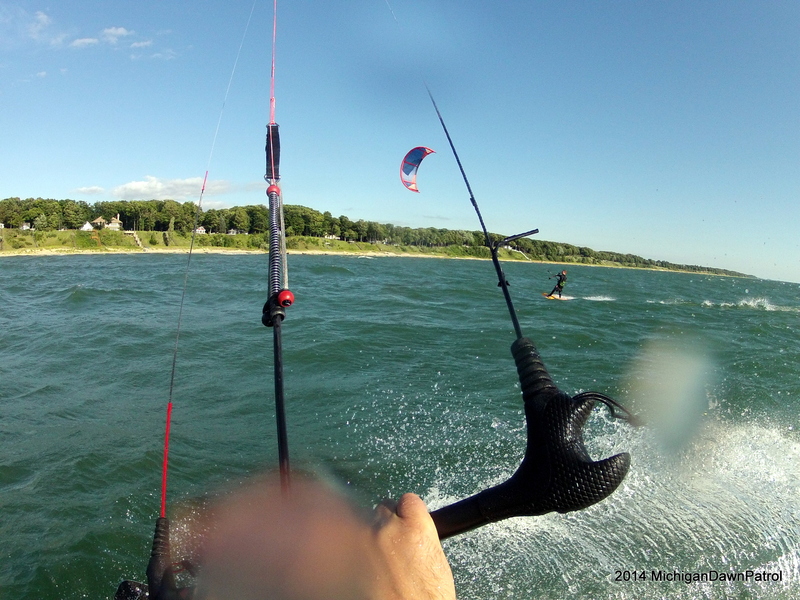 Some good places to kiteboard would be Manistee 1st st beach, Muskegon Pere Marquette beach, and South Haven. Some beaches will be too busy to launch and land like Grand Haven. Sunday: Looks like a south breeze that should build at Little sable point with sunny skies. Probably the only place on the lakeshore that will be windy enough. The water is really warming up in most locations into the 60’s. It should be a really nice weekend regardless of how strong the wind is. Enjoy! Conditions are lining up nicely for a thermal today. Should be a great summer day on Lake Michigan.